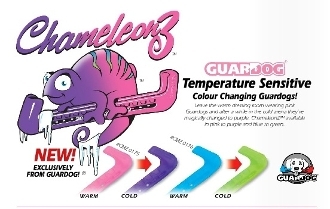 Chameleonz Figure Skating Blade Guards change color to give you two different looks with the same guards. The Pink changes to Purple when exposed to cold and the Blue changes to Green. Deluxe two-piece guards. Trim to fit any skate blade.